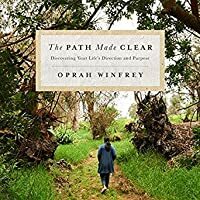 Enter to win 1 of 25 hardcover copies of The Path Made Clear by Oprah Winfrey! Everyone has a purpose. 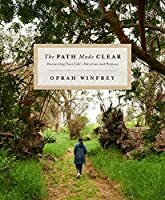 And, according to Oprah Winfrey, “Your real job Enter to win 1 of 25 hardcover copies of The Path Made Clear by Oprah Winfrey! To ask other readers questions about The Path Made Clear, please sign up. This may be an odd question, but would this book be appropriate for someone whose health is declining and unlikely to significantly improve? I'd love to send it as a gift but I also don't want to make them sad. Treva I don't think this is the right book for the situation you are presenting. Public opinion about Oprah Winfrey seems to be all over the place these days, but if you have ever enjoyed her once popular talk show, this book will be a pretty safe read. Full of inspiration and nostalgia, Winfrey showcases multiple stories and pieces of advice from a variety of popular figures that all explore the topic of “discovering your life's direction and purpose.” There's no politics or personal opinions/judgments. No controversy. There's just life lessons and insights. She dedicates h Public opinion about Oprah Winfrey seems to be all over the place these days, but if you have ever enjoyed her once popular talk show, this book will be a pretty safe read. Full of inspiration and nostalgia, Winfrey showcases multiple stories and pieces of advice from a variety of popular figures that all explore the topic of “discovering your life's direction and purpose.” There's no politics or personal opinions/judgments. No controversy. There's just life lessons and insights. She dedicates her book to teachers, and in doing so she reminds us all that we teach one another just by living with honesty. So share your truth and allow yourself to listen and learn in return. Check it out. Sometimes the right book comes along at JUST the right time and it makes a really good book even better. With a lot of uncertainty and decisions with my current job, this was the perfect avenue to remember that though we don't always have complete control over our destiny, we do have the tools to guide it and make the decisions for our best path and purpose. Nothing in the book is "rocket science" - we all know what we need to do in order to live more meaningful lives. But the way this book is p Sometimes the right book comes along at JUST the right time and it makes a really good book even better. With a lot of uncertainty and decisions with my current job, this was the perfect avenue to remember that though we don't always have complete control over our destiny, we do have the tools to guide it and make the decisions for our best path and purpose. Nothing in the book is "rocket science" - we all know what we need to do in order to live more meaningful lives. But the way this book is put together is brilliant. Oprah provides the introduction of several pages to introduce the concept of each chapter. She has then compiled stories from famous authors, musicians, actors, etc and ties those in with her words. If you liked the previous book, “The Wisdom of Sundays”, then you will like this also. More inspiring quotes—although some of the people featured are not exactly my idea of sages. four stars might be a bit generous but this book was perfect for a busy time in my life as I get ready to go into the last weeks of school and finals. The book is well-organized, short, and uplifting. Yes it's full of great insights but because it's just a book of quotes it's hard to really apply anything. It's as if you were in a writing class and the teacher stands up and says, this is a book it's it pretty? the summary is nice too. Now you go and write yourself one. You miss the exercises and the practical information to guide you. Yes to write you just need pen and paper and to just put down words but it would be a near impossibility to create something readable without the first notion o Yes it's full of great insights but because it's just a book of quotes it's hard to really apply anything. It's as if you were in a writing class and the teacher stands up and says, this is a book it's it pretty? the summary is nice too. Now you go and write yourself one. You miss the exercises and the practical information to guide you. Yes to write you just need pen and paper and to just put down words but it would be a near impossibility to create something readable without the first notion of how to do it. I didn't realize it wouldn't be Oprah's take on how to have a purpose but listened to it anyway (all the quotes are clips so you get their own voices which was ice) since I couldn't return it. It was good enough, as I love a little (if not a lot) of positivity in my life. But just know that it might not be what you expect. What a fantastic read! Just what I was looking for to answer a lot of questions I am currently faced with. Once in a while we all just need to stop and appreciate life. No one is ever too busy to stop and listen to the inner wisdom we have waiting to be heard. This book gave me great perspectives on life in general and how successful people got where they are today. I loved the mini-interviews. Great insight gained. My favorite quote, "Your real job in life is to figure out as soon as possible w What a fantastic read! Just what I was looking for to answer a lot of questions I am currently faced with. Once in a while we all just need to stop and appreciate life. No one is ever too busy to stop and listen to the inner wisdom we have waiting to be heard. This book gave me great perspectives on life in general and how successful people got where they are today. I loved the mini-interviews. Great insight gained. This is Oprah in all her splendor, beauty, grace, and wisdom. While it had that feel good feel with eloquent pictures that are worthy of hanging on the wall it wasn't spectacular. It was a quick read, a flipper for sure, with advice, wisdom, knowledge from many of her closest and rather wealthy friends. While I wish I could be a fly on the wall I have been blessed to be in the same room at least with Joel Osteen and so his words resonated with me (of course I stood in pouring rain after driving 2 h This is Oprah in all her splendor, beauty, grace, and wisdom. While I wish I could be a fly on the wall I have been blessed to be in the same room at least with Joel Osteen and so his words resonated with me (of course I stood in pouring rain after driving 2 hrs to see him in Hershey Pa) but hey that's life right?! The Ellen Degeneres insight about love and acceptance in being understood was quite powerful to read. To finally be understood what a beautiful message. The real message is to believe in oneself, to reach higher, challenge oneself, express gratitude, live in the moment, and keep dreaming big. So with that note I hope you enjoy! I love Oprah and admire her courage, tenacity, and brutal wisdom. She is and always will be an inspiration for all that she's overcome in her successful life. Defining success for each of us is different. For me it's not monetary wealth but helping others in service which is never paid work. It's been awhile since I came across a book that I'll need to buy but DINGDINGDING we have a winner. My "that time of the month" is my restless period. I want to do everything and nothing at the same time. I'll no longer be content with the way things are and the thought of changing the direction of my life feels too overwhelming and I'll shut down, become frustrated and get thrown into a funk. This book came at the perfect time. It cleared my mind so I can just focus on keeping my balance and ha It's been awhile since I came across a book that I'll need to buy but DINGDINGDING we have a winner. My "that time of the month" is my restless period. I want to do everything and nothing at the same time. I'll no longer be content with the way things are and the thought of changing the direction of my life feels too overwhelming and I'll shut down, become frustrated and get thrown into a funk. This book came at the perfect time. It cleared my mind so I can just focus on keeping my balance and happiness. Not as impactful as Wisdom of Sunday’s but was a quick little lesson on what I should be focusing on in life. I was given this book as a gift. So much of what is talked about in this book is common sense. How predictable am I, the woo-woo, airy-fairy, self help loving weirdo that I am, to give Oprah's new book 5 stars? Very. But I have absolutely no shame because this gorgeously crafted book is jam-packed full of wisdom from countless perspectives. What's interesting to me is how many of the core themes of these conversations overlap, forming simple truths that each one of us can relate to on a profoundly human level. I'm grateful that this book exists, I'll be re-reading it many times over. Favor How predictable am I, the woo-woo, airy-fairy, self help loving weirdo that I am, to give Oprah's new book 5 stars? Very. But I have absolutely no shame because this gorgeously crafted book is jam-packed full of wisdom from countless perspectives. What's interesting to me is how many of the core themes of these conversations overlap, forming simple truths that each one of us can relate to on a profoundly human level. I'm grateful that this book exists, I'll be re-reading it many times over. "Steven said: 'The more important an activity is to your soul's evolution, the more resistance you will feel to it.' He explained that no matter the dream, the shadow of resistance is inevitable. It's like the yin and yang-- you can't have the dream without the shadow." "Your self-worth is your job. It's your sacred space to cultivate." ... "Sometimes I just ask myself, 'What would I do if I knew I was 100 percent worthy of this? What would I do?' Just ask, 'What if?'" -India Arie"
Soul expanding , a reminder of all the things you know to be true. This is my favorite book by Oprah. I have to say it was stunning photography and her topics touched my soul. The chapter on Whispers has really set me to pondering and thinking about my life and my path and purpose. Very quick read. DNF. Didn’t like the style of how it was written. Almost like a bunch of quotes just put together. My path is still a muddy mess but I have some nice quotes by famous people to refer to during difficult times. I adore Oprah but I was disappointed in this one: What I thought were the best words of wisdom came from Oprah's writing. (I copied those gems down so I can sear them in my mind.) The others (contributors, extracts from interviews), not so much I'm sad to say. The book is beautifully designed with gorgeous pictures. I'm glad I read it but it left me wanting to read more of Oprah's thoughts. I don't know how many middle-aged men will readily admit to reading one of Oprah's book (that's their issue, not mine), but man, am I grateful I selected this audiobook at this juncture in my life. I've always admired Oprah and find her inspiring, but what drew me to the book was the cast of fellow readers, including such luminaries as President Jimmy Carter, VP Joe Biden, Pema Chodron, Thich Nhat Hanh, Eckhart Tolle, Jay-Z, Congressman John Lewis, Trevor Noah, Stephen Colbert, Sue Monk Kidd, El I don't know how many middle-aged men will readily admit to reading one of Oprah's book (that's their issue, not mine), but man, am I grateful I selected this audiobook at this juncture in my life. I've always admired Oprah and find her inspiring, but what drew me to the book was the cast of fellow readers, including such luminaries as President Jimmy Carter, VP Joe Biden, Pema Chodron, Thich Nhat Hanh, Eckhart Tolle, Jay-Z, Congressman John Lewis, Trevor Noah, Stephen Colbert, Sue Monk Kidd, Elizabeth Gilbert, TD Jakes, Cheryl Strayed, Rob Bell, Jack Canfield, Cicely Tyson, Sidney Poitier, Ellen Degeneres, Jon Kabat-Zinn, Lin Manuel Miranda, Jordan Peele, Brene Brown, Bryan Stephenson, Father Richard Rohr, and a couple dozen more. These segments are largely from interviews Oprah has done with these leaders of the mind, heart, or state over the years. She breaks the book up into ten chapters that serve as guideposts on the journey to self-discovery. (The Seeds, The Map, The Road, The Climb, The Reward, etc), laid out in a manner that would serve my teenage kids, who are figuring out who they are and hope to be, as well as a 51-year-old like myself, who in many ways is doing the same thing, for a third, fourth, or even fifth time - I've lost count. This is easy-to-digest advice from people who have lived through challenges and obstacles that give them the street cred necessary to speak on topics such as adversity, resilience, philanthropy, self-awareness, self-discovery, loss, and hope. I highly recommend the audiobook, as you get the benefit of hearing these remarkable artists, authors, and leaders speak from the heart, rather than merely reading their quotes on the page. Oprah is, of course, Oprah - guiding you along the journey with a narrative that is reassuring and authentic. Maybe your life journey is going smoothly right now. Maybe you just can't see yourself reading Oprah. Maybe you don't subscribe to listening to "famous people" tell you how they've navigated their path. I encourage you to move past any resistance and give the audiobook a shot. There are so many diverse viewpoints, so many perspectives, some are bound to resonate. These are leaders of the heart and mind, for the most part, and those who have earned celebrity status outside of those roles all have reasons for being included in these pages. Every time I walk into a library or a book store, I wander around, touching books reading titles, open to something new that I would not search for in the card catalog. I found this book in the new book section. I was struck by the cover and when I saw that it was written by Oprah I put it into my already bulging oversized book bag and took walked to the check out counter. When I opened the book I went wow, this is a book for people who love books. The cover was different and felt great in my ha Every time I walk into a library or a book store, I wander around, touching books reading titles, open to something new that I would not search for in the card catalog. When I opened the book I went wow, this is a book for people who love books. The cover was different and felt great in my hands, the pages are high-quality paper, thick and lovely to page through, and the pictures WOW. I love the pictures. Then I started to read. It is an easy book. Beautifully illustrated that if it comes in your life at the right time can give you the insight and freedom to find your path. If like me, I recently made a number of huge changes in my life that put me on the best and well somewhat unique path for me... the book gave me a profound sense of peace. I am still reading the book, still taking pictures of the pages, and wondering... will I need to get this on Kindle so I can keep it with me forever? I am looking forward to the rest of the journey this book will take me on. I wish you would join me. This is a simple book, with short essays from Oprah about the paths we take in life and the forces that can affect them (faith, trust, gratitude, love, success, failure, heartbreak, fear, etc.) followed by quotes from or pieces of conversations O had with different people including writers, actors, musicians, psychologists, pastors, and leaders. It’s got pretty pictures and bite-sized nuggets of wisdom. Pleasing to the eye and easy to digest. It’s also a very deep and powerful look at the roots o This is a simple book, with short essays from Oprah about the paths we take in life and the forces that can affect them (faith, trust, gratitude, love, success, failure, heartbreak, fear, etc.) followed by quotes from or pieces of conversations O had with different people including writers, actors, musicians, psychologists, pastors, and leaders. It’s got pretty pictures and bite-sized nuggets of wisdom. Pleasing to the eye and easy to digest. This was mostly full of others' wisdom collected, organized and packaged by Oprah. I am not an avid follower of Oprah but I also don't have the cynical hatred others seem to have. I think she's done amazing things with her life, I think she's worked hard to help others, and I think she's been trying to learn and grow along the way. All of those things make her pretty awesome in my book. This book was a fine read, there are lots of little gems in it but, in my opinion it's not rea 2.5 stars. Meh. I had my aha moment as I passed this book on the new release shelf in my local library. You see I'm not exactly Oprah's target demographic. A mid-thirties male living in New York City. I'm not big into the self-help genre. But when I saw this, I said I wanted something simple, short and sweet. Nothing that would take too much time in my chaotic life. I wanted to see if something like this would help me, and boy did it. My health is one more diagnosis away from pure disaster. My life is in chaos. I had my aha moment as I passed this book on the new release shelf in my local library. You see I'm not exactly Oprah's target demographic. A mid-thirties male living in New York City. I'm not big into the self-help genre. But when I saw this, I said I wanted something simple, short and sweet. Nothing that would take too much time in my chaotic life. I wanted to see if something like this would help me, and boy did it. My health is one more diagnosis away from pure disaster. My life is in chaos. I'm all over the place in what I wish for myself, constantly being pulled in different directions. Oprah's books are always full of wisdom and l enjoy them, she has devoted her life to finding meaning in life and spent her life talking to people who have searched for meaning, spirituality, growth in all areas of life. if we are not growing in life and aiming to become the person we want to become in truth then life is very shallow and static. i have always enjoyed listening to people who search for wisdom, l have read many of the books written by the people that she interviewed. I can’t lie. I wasn’t going to read this book. But I did. And thank God I did. You should too. It will take you 15 minutes. I’ve always believed God whispers, but I didn’t think he had anything to say to me. I mean, why would he? I’m just a random girl in the middle of a city, working full time, not bothering a fly. He is whispering to me. I have heard it, I didn’t know I did until I read this book. I now know what I have to do.